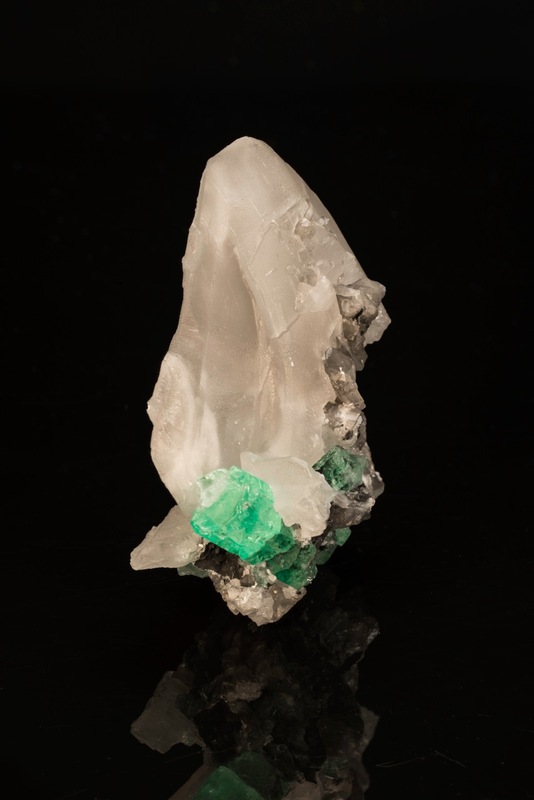 We call this fine specimen "The Emerald Sail Ship," with its concave calcite catching the ocean's air. 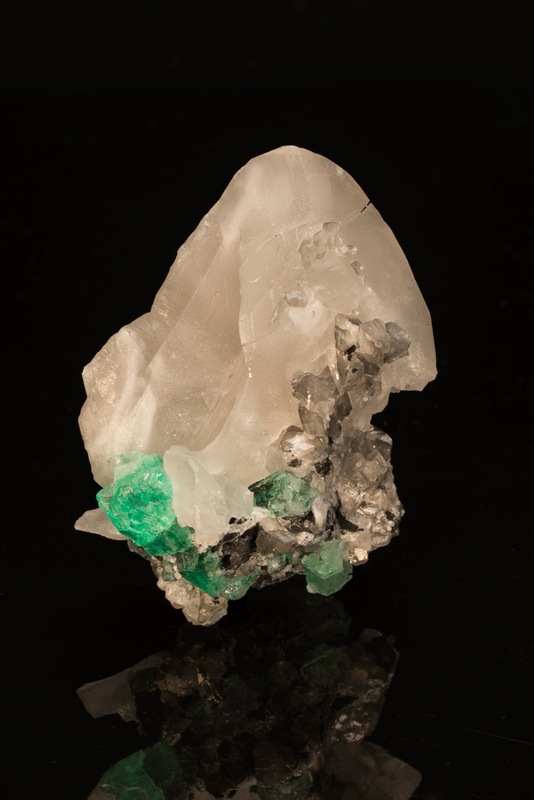 This is an aesthetic, large calcite crystal with no damage and a lively green emerald crystal attached at the bottom. The emerald has a fine, etched termination that adds to its beauty. The sail hails from the locality of La Pita Mine in La Pita, Mun. de Maripí, Vasquez-Yacopí Mining District, Boyacá Department, Colombia.